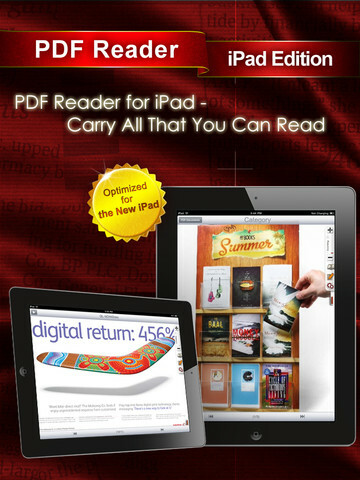 Kdan Mobile has announced a significant update for iPad versions of its top-selling mobile reading application, PDF Reader. The latest update further expands the app’s capabilities to support Google Drive, Google’s proprietary cloud storage and collaboration services. 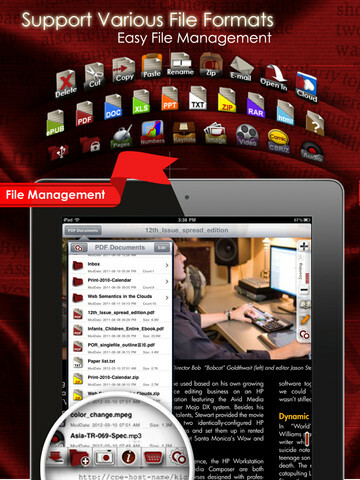 Kdan Mobile Integrates Google Drive into its iOS PDF Reader. Kdan Mobile, a mobile software application developer, has released a significant update PDF Reader – iPad Edition, its top-selling mobile reading application. PDF Reader provides file viewing, file storage, file scanning solutions on iOS devices, and is known for its extensive integration with various cloud storage services such as Dropbox and SugarSync. The latest update of the app further expands its capabilities to support Google Drive, Google’s proprietary cloud storage and collaboration services. Users' increasing tendency to use multiple devices has pushed Google to integrate Google Drive’s SDK into the iOS market. Top-ranked on the App Store throughout the world, PDF Reader has been chosen by New Business Development Team at Google for the first wave of push to introduce Google Drive to the mobile world. “We’re excited to have Google Drive incorporated into PDF Reader,” remarked Kenny Su, CEO of Kdan Mobile. “We believe the convenience provided by Google Drive to our users will go a long way in enhancing productivity,” added Su. With expandable storages, the latest version of PDF Reader grants users greater flexibility to access files and experience real-time collaboration on their mobile devices. 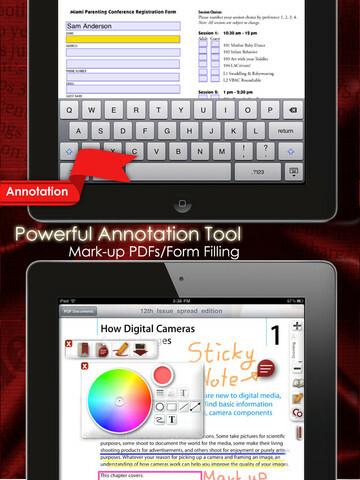 In addition, the new version of PDF Reader further enriches user experience with optimized file rendering speed, PDF stamps, and reinforced annotation features. “More and more people are adopting iPad to fulfill professional and business needs. We will continue to provide a better mobile working environment for users in that community,” commented Erwin Lin, CTO of Kdan Mobile.